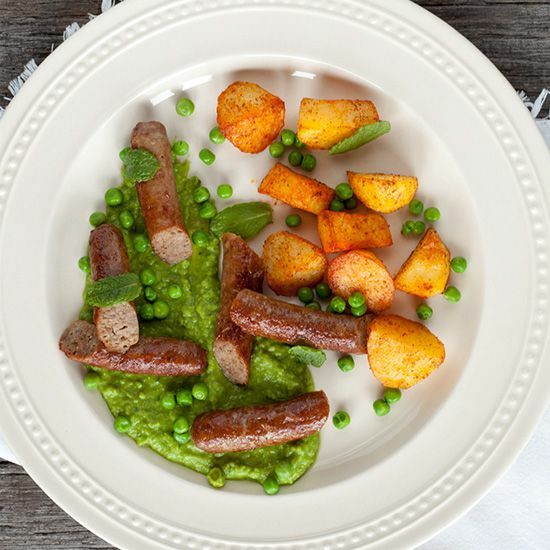 Spring is in the air with these lamb sausages with minted pea puree. Served with roasted potatoes makes it an even more delicious dish! Peel and slice the shallots, no need to slice them fine and perfect since you’re going to blend them anyway. Fill 1 of the small pans with water and salt and bring to a boil. HEAT a little bit of butter in a small pan and saute the onion for about 2 minutes. Toss in 3/4 of the frozen peas and saute for another few minutes. ADD about 1 cup of water and the vegetable stock cube. Let it simmer for about 10 minutes on low heat, or until the peas or fully cooked. ADD a handful of mint leaves and create the puree using a rod mixer or blender. Season with pepper and salt. BOIL the rest of the frozen peas in a pan with salty water until fully cooked, this will take about 10 minutes. 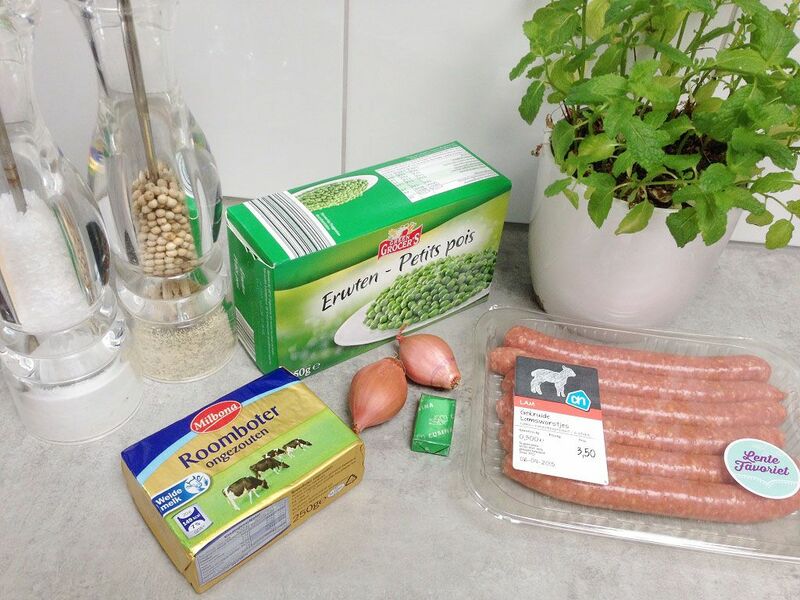 HEAT some butter in the medium-sized skillet and cook the lamb sausages about 3 minutes on both sides. 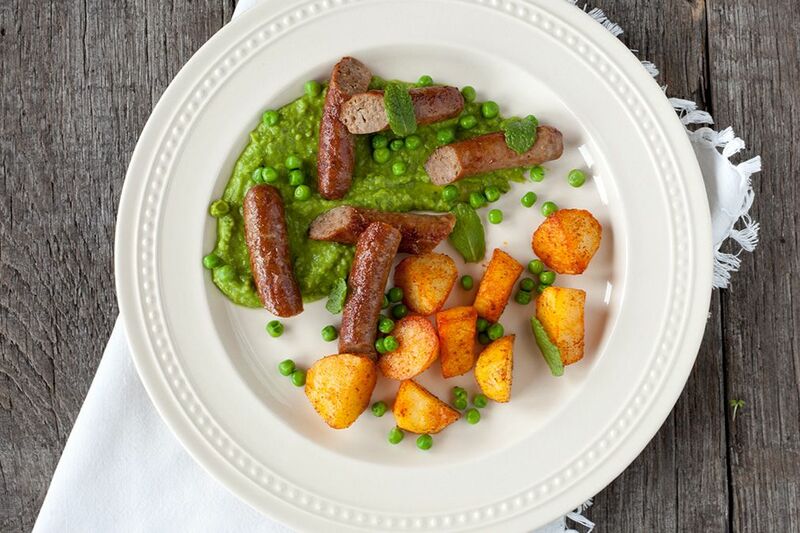 Serve with the minted pea puree, roasted potatoes, extra peas and extra mint leaves. Enjoy! What an awesome spring meal. 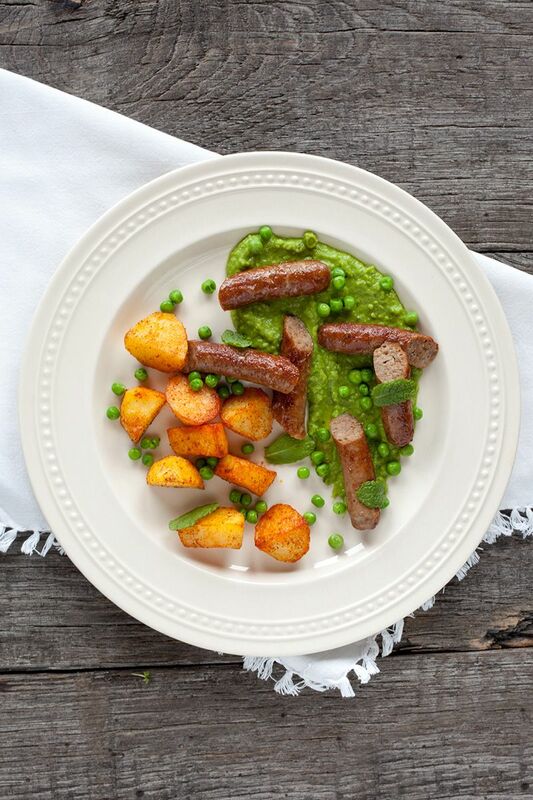 This combination is tried and true – lamb, peas, mint – and I LOVE how you put it together. Can’t wait to see more of your recipes!